As I kid, I loved to be outside...not much has changed in that regard. I spent most of my childhood days riding my bike and exploring the woods and fields while searching for arrow heads and interesting rocks. Nature has always been an inspiring place to me. As a young teen, I stayed active by playing volleyball and being on the track team. I started out running the 400M and 800M, but soon became interested in shotput. As a slight built, skinny girl, shotput seemed to be an unlikely match for me, however, I had a coach that believed differently. My track coach pushed me to challenge myself in the weight room, and as I became stronger, my shot throws went farther. It was high school track that I first learned to love the weight room. However, I would say my real fitness journey began when I was 19. I was working out at an all women's gym, called Women's Workout World. It was not by sheer accident or coincidence that it was an all women's gym, as I was intimidated to train around men at the time. I was working at a bank with a co-worker who continuously asked me to checkout his gym. Time and time again I would decline to no avail, the guy was relentless! So, I decided to try out this Powerhouse Gym place, ONCE. At the time, Powerhouse Gym was running a special, which included two free personal training sessions with a guest pass. I thought that was a pretty good deal and decided to work with one of the trainers. After all, what he possibly show me that I didn't know already...right? I mean, I was training every body part everyday, to the point of barely being able to push the clutch in on my Jeep. As you might imagine, I soon came to the realization that I had been doing everything the absolute incorrect way, and I was actually hindering myself from seeing results. So, I decided to extend my Powerhouse experience into a 3 month long "trial", at least that's what I told myself. As I learned the fundamentals of weight training, cardiovascular training and proper nutrition, my body completely transformed! I was so excited about what I was learning and how it was changing my life and I wanted to share it with everyone! That same year, after creating a business plan and endless searching for an investor, my dreams finally came true! After a lengthy build-out of a 20,000 sq. 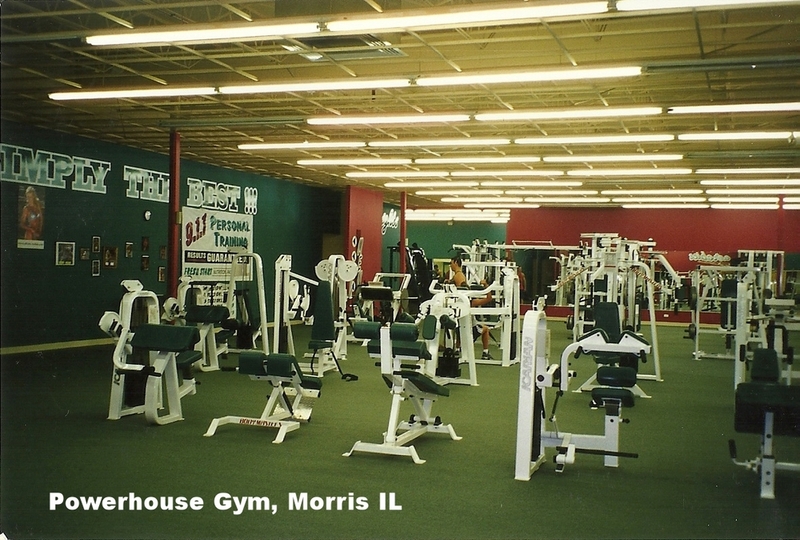 ft. facility, many preparations a large learning curve, I became the co-owner of a Powerhouse Gym in the southwest suburbs of Chicago, Illinois. It was an incredible adventure that further fueled my passion for the Health and Fitness industry. It wasn't long before I began to take an interest in fitness competitions and began to follow the Miss Fitness Olympia and the stars of the Arnold Classic. Monica Brant was my fitness idol! I competed for the first time in the Miss Fitness Illinois and won the "Image of Fitness" award. I competed several more times, placing in the top 5 and then crossed over from Fitness and into Figure. In my first year of competing, I was invited to do a guest appearance at the Atlanta Supershow for Pump magazine, where I finally met Monica Brant in person and was introduced to Universal Nutrition, her sponsor at the time. Three months later, Universal Nutrition signed me to a five year Spokes-model contract and before I knew it, I was appearing alongside my longtime hero, Monica Brant. It was a dream come true! One year later I also became the spokes-model for ISSA Personal Training Certifications. 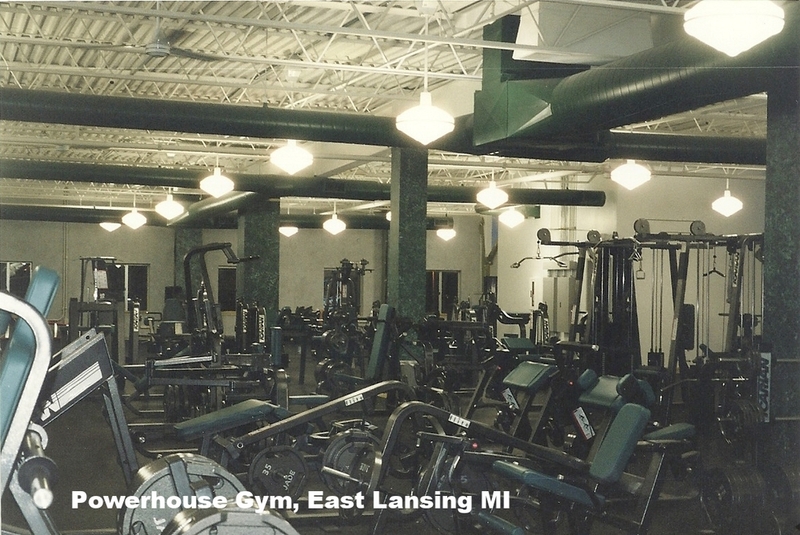 Five years after opening the Illinois Powerhouse Gym, I opened another one in East Lansing. Michigan, right above the student bookstore of Michigan State University. After a couple of years of traveling back and forth to Los Angeles, California for photoshoots, I decided it was time to head West. I relocated to Los Angeles from Illinois in 2001. My career was well on it's way and I couldn't have been more excited. I began to create name recognition under my former name, Tiffany Remley. As my appearances for Universal Nutrition grew and I began to shoot regularly for the magazines, fitness modeling and leading an active lifestyle became much of my focus in the next several years. My career expanded into acting in a few small films to television hosting and infommercials. For a time, my friends endearingly nicknamed me the "Infommercial Queen". My passion to help others to revolutionize their own health and fitness, inspired me to balance my fitness career while also personal training. During my time in Los Angeles, I worked as an independent trainer at the Mecca of Bodybuilding, Gold's Gym, Venice before starting a personal training company called, TNT Fitness. In 2009, I graduated from the University of California- Los Angeles with a Bachelor of Arts and decided to relocate to Orlando, Florida to be with my now husband, James. Upon relocation to Florida, I re-branded my training company to Driving Force Fitness and expanded my services to include online training. Not long after, I sought to pursue my Master's degree and enrolled in the University of Florida, where I graduated in 2013 with a Master's in Business Administration MBA. The Health and Fitness industry is who I am! I feel energized in the mornings knowing that I get to help others to establish healthy habits and become healthier people. In 2015, Driving Force Fitness has continued to evolve to Driving Force Fitness by Tiffany Damle, where I have given it a more personal touch. For me, the thing I love the most about what I do is making a strong connection with others and sharing my knowledge and experiences in order to make a difference. With that said, I have incorporated my personal videos, a blog and even some of my favorite pictures, stories and articles so that I can share my passion for fitness with you. In 2016, I'm proud to say that I became vegan! I have rid my life of all animal foods, products and leather. This was a personal decision based on my love of animals, respect for the environment and a deeper step to improve my health and well being. You can read about my vegan journey on my blog, CLICK HERE. I feel very fortunate to have experienced all that I have in this industry. It's an incredible feeling to truly love what you do and to be inspired every day, but what I love most is sharing it with you! If we are connected on social media, or you should see me at a show or an appearance, or perhaps around in your neighborhood, I hope that you will stop to say hello. I love hearing from you and learning of your fitness journey!